I keep a folder in google drive called “Settings” which I use for program files that I sync. Place it where it makes sense to you, just remember that location for the next step. Note, you want to move the file, not copy it. It cannot still exist in the filezilla folder, or the next step may not work. 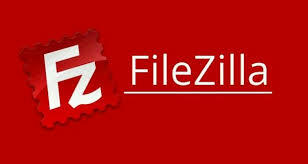 Filezilla will still look in it’s default place for the sitemanger file. You’re going to trick it and point it to the file you have snyc’d on Google Drive. You’ll need to open up a Command Prompt (Windows) or a terminal (OS X/Linux) for this step. This is what the commands looked like for me, you’ll need to adjust the file paths as necessary. Note, on Windows, you enter the new link first, then the existing target, and on OS X & Linux, it is the opposite order.